Clear all jellies and reach 350000 points to complete the level. This level has medium difficulty and you need to use good technique to complete this level. For this level you should try to play from the bottom of the board or use special candies to break the blockers and keys. 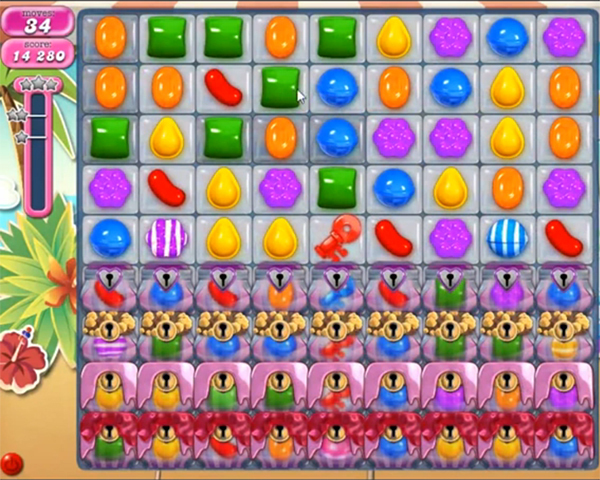 Try to combine special candies to each other to break the jellies or play with remaining jelly to break all to complete this level. Dear the game gives me only 15 moves while in above note you have written that this level contains 35 moves, what is the problem?